Our customers enjoy building things! 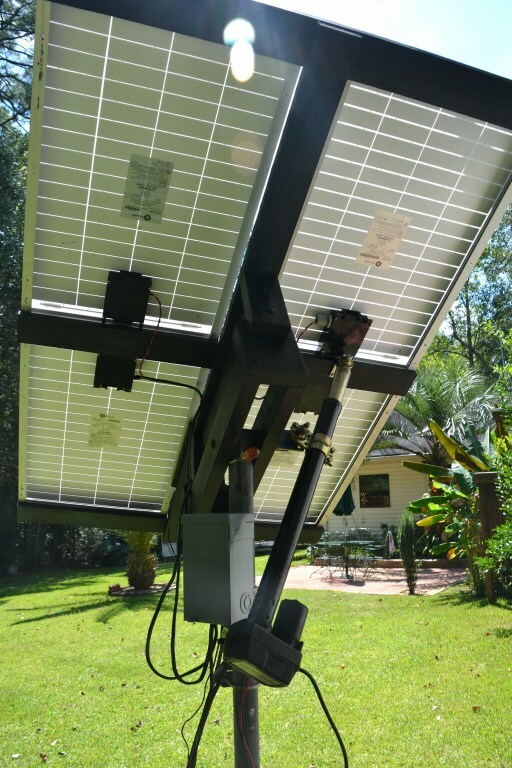 Here is a great example of a dual axis solar tracker sent to us by Chris, who controls the unit using 2 of our Heavy Duty Solar Tracker Kits. Note how the East/West axis uses a rotary drive, while the North/South axis uses a linear actuator drive. Chris reports he used almost 100% salvaged mechanical support components. Well done! 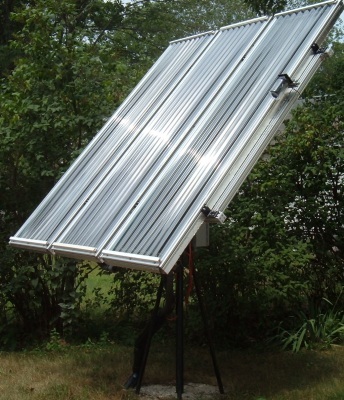 Here is a great example of a Tracking Solar Water Heater sent to us by Norm. 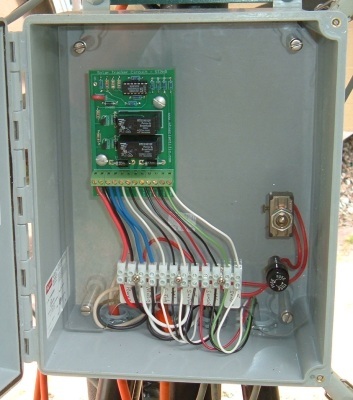 We especially admire the clean, neat and spacious arrangement of the wiring and enclosure. 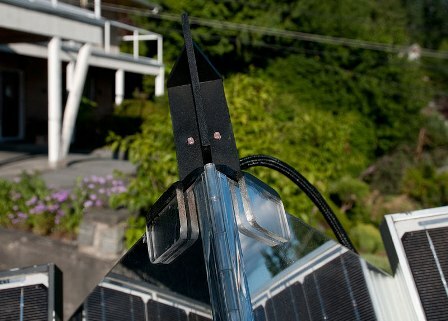 The 2 photocells are protected from the weather with a simple jar (Visible in the first photo.) 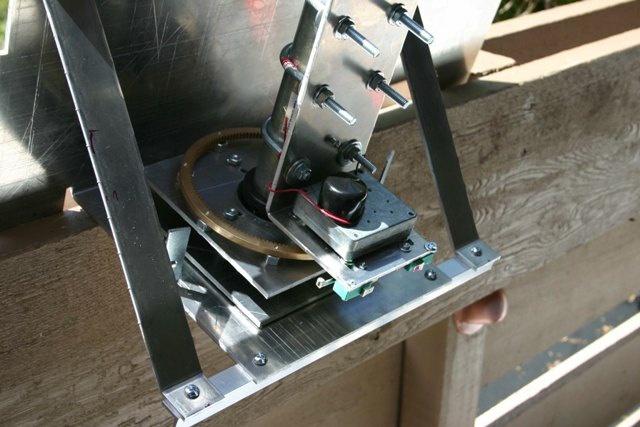 The motor is simply a 12V drill motor... fantastic idea! 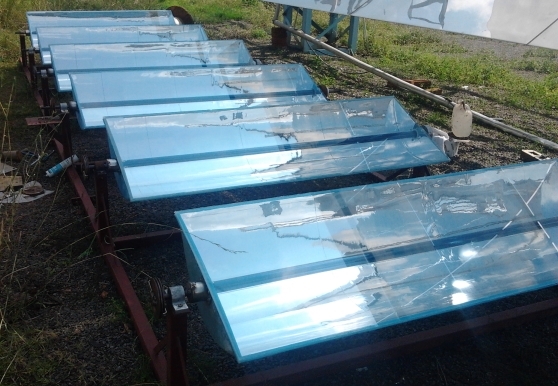 This is a Parabolic Trough Type Solar Collector used for steam generation in India. 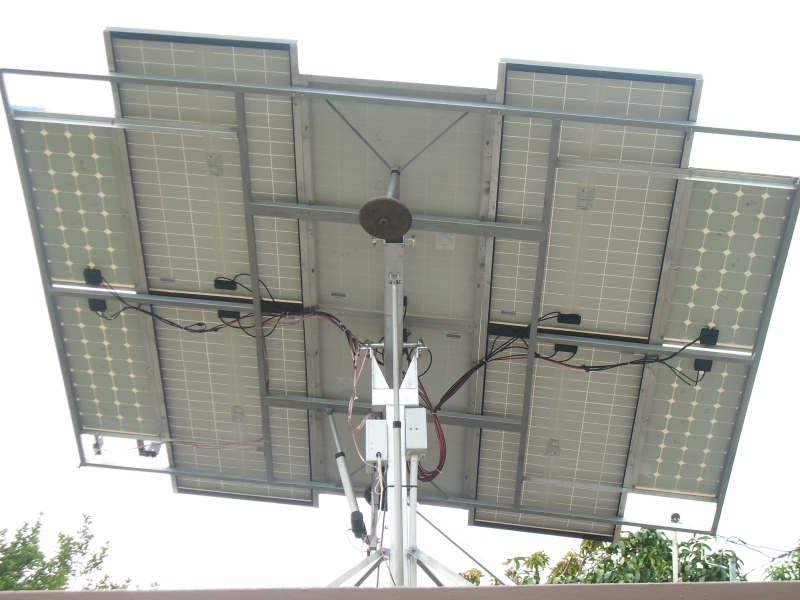 Vijendra writes that they are using our computer chip controlled Picaxe Solar Tracker with great results. As an advanced user, they are modifying the software for their own purposes. 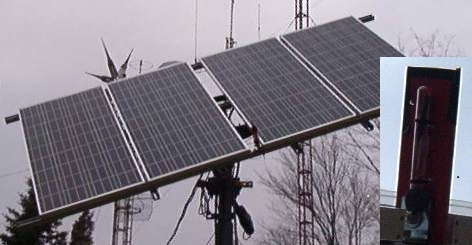 Excellent application of solar tracking! 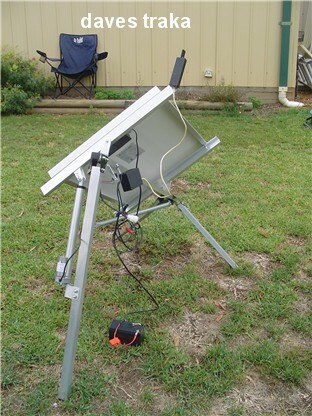 This 2.5KW utility interconnected solar electric panel tracker was built by Tony in Australia. Note the clever use of a 3 point outboard structural support to provide excellent mechanical stability. 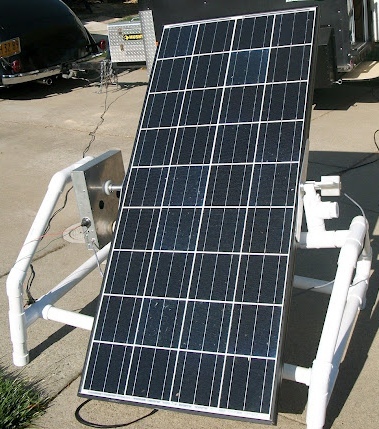 This Solar Tracker unit is designed to charge a bank of deep cell batteries for operating an electric mobile refrigerator. 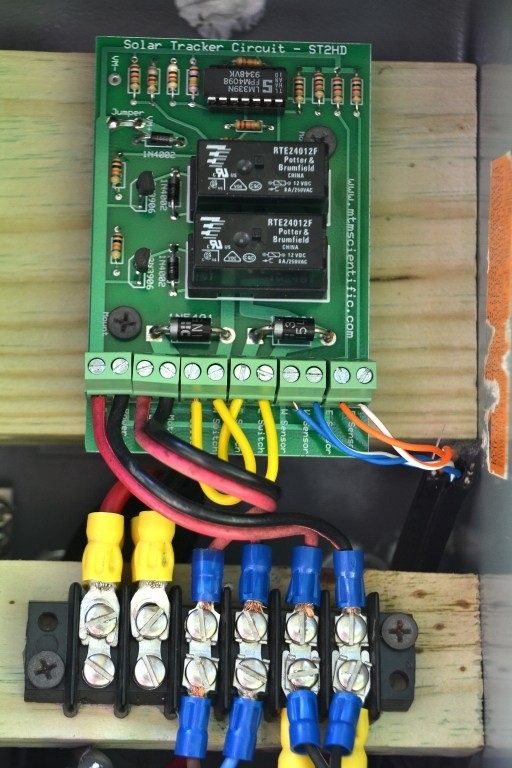 Dave writes to say that this unit is powered by the small DC electric motor we offer on our Solar Tracker webpage. 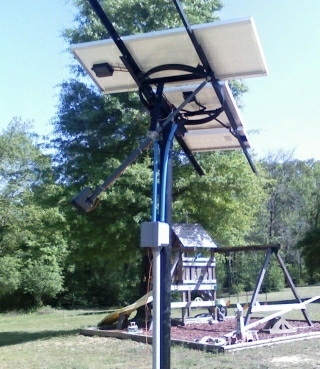 These Solar Tracker photos are courtesy of Jim R in the USA. Notice the well done wiring and outdoor weather protection given to the electronics. 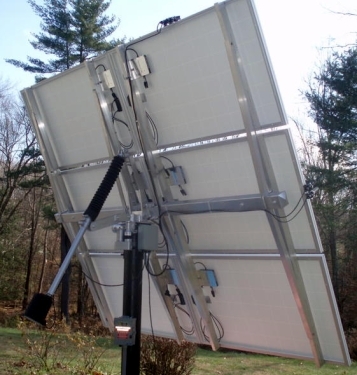 Here is a great example of a dual axis solar tracker project from Phil C. (A dual axis controller can be built by using 2 of our kits.) Note that 2 shadow blocks were used... one for the North-South adjustments, and another for the East-West adjustments. Also notice the weather protection given the photocell sensors. Here is another great example of a 2 axis tracker from Ken. 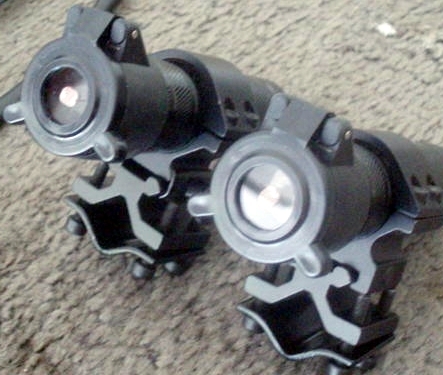 Note how the photocells are protected from the weather using the optical sight mounts. 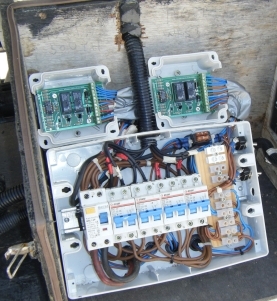 The electrical wiring includes an in-line fuse for protecting the electronics. The 2 axes of motion are accomplished using a linear actuator and a rotary gear motor base. 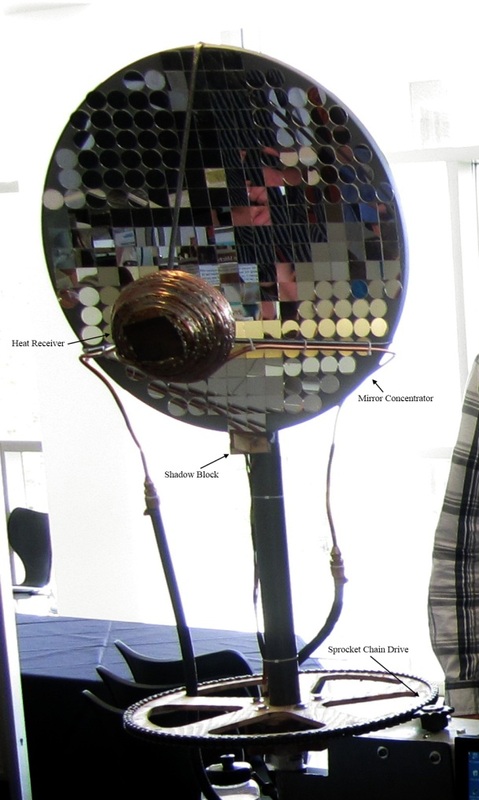 This focusing style Solar Concentrator with Heat Receiver was built by the Imagine Team at Colville HS in Washington, U.S.A. Note the clever use of a simple sprocket running on an improvised pulley with external chain rim. 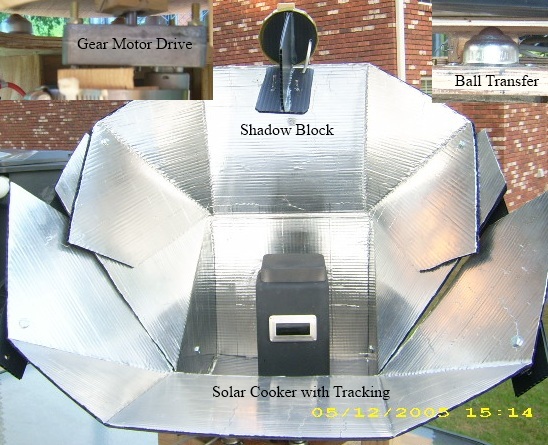 This Solar Oven with tracking was built by Jim W. of Georgia, USA. 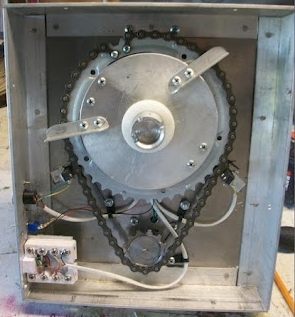 The oven is mounted on a turntable with ball transfer slides and is rotated by a central DC gearmotor, as shown in the photo inserts. 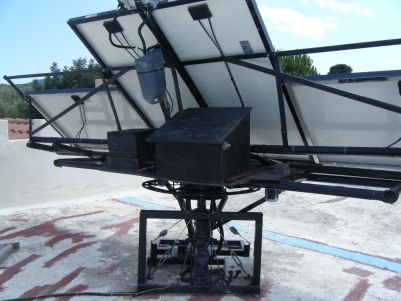 This Solar Tracker from Federico in Spain has several innovative ideas... 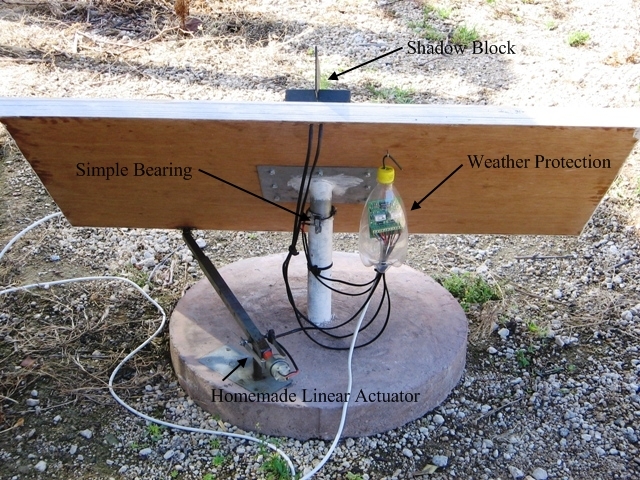 Note the use of a simple rotary bearing, a plastic container for protecting the electronics, a patio tile forming a stable base and most interesting, a homemade linear actuator. 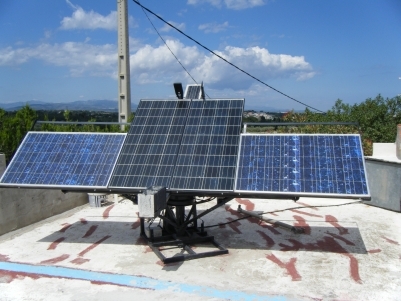 This Solar Tracker Project uses a DC linear actuator to move the panels. 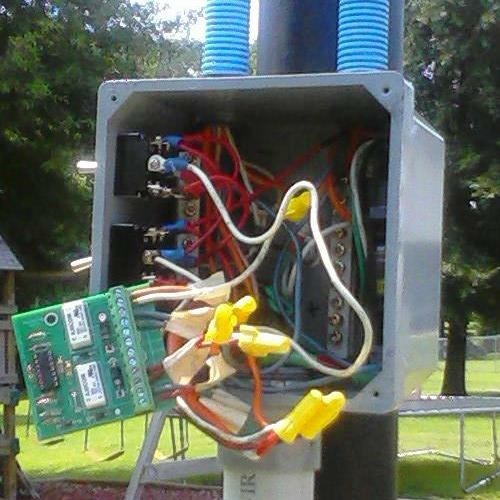 The controller is mounted inside a weatherproof electrical enclosure. 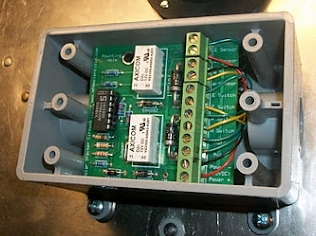 The photos are courtesy of Bill F.
Here is a view of the enclosure for the electronics. 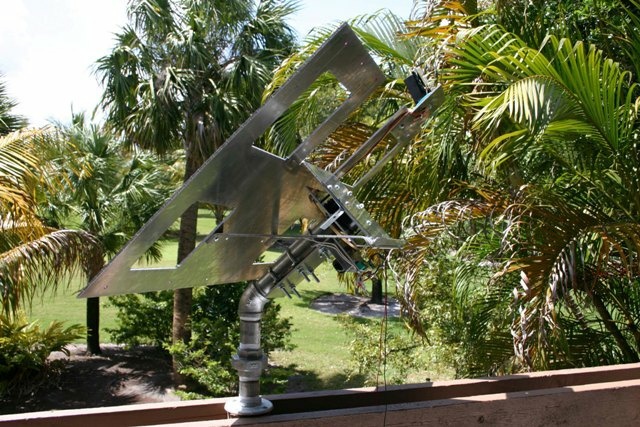 This awesome Solar Tracker project is the work of David. 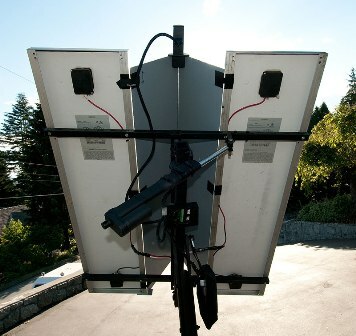 Note the use of a central mirror reflector to increase sunlight on the panels. 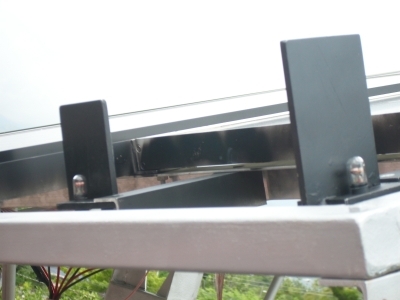 These panels are moved with a heavy duty linear actuator. Here is a view of the shadow block assembly. 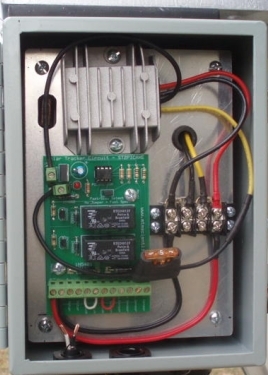 Also, note how the circuit board was ruggedized with a conformal coating and is mounted in a weather tight enclosure. 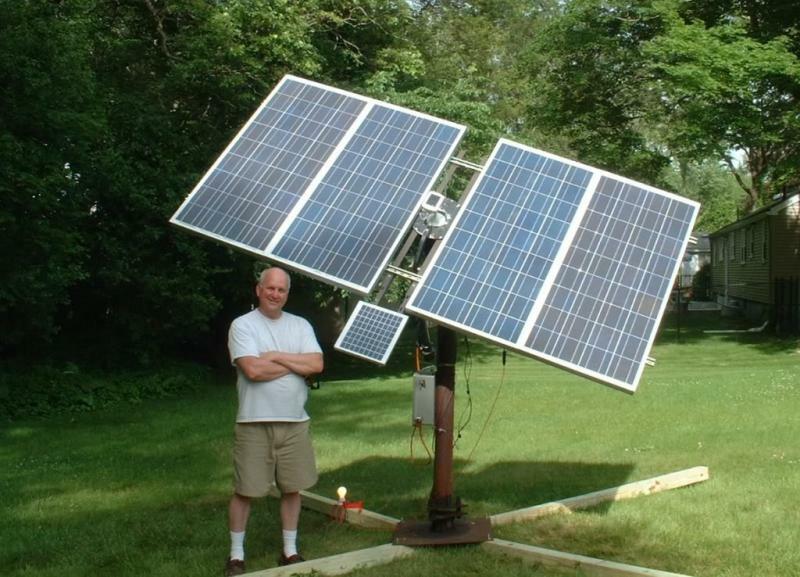 This Solar Tracker was built by Rich, who can be seen in the photograph. This extensive project is described in more detail at EcoRenovator. 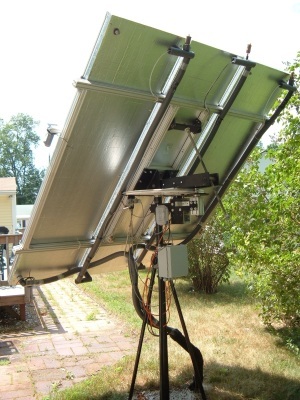 This Solar Tracker was built by Chuck in the Northeastern, U.S.A. Note the use of a linear DC actuator for the prime mover. 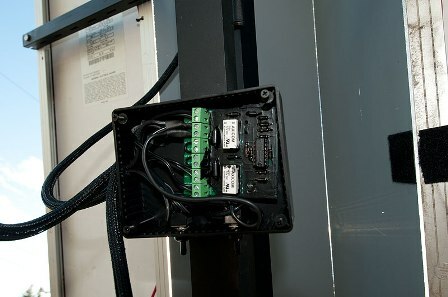 The sun sensors are protected using an inverted test tube (photo insert). 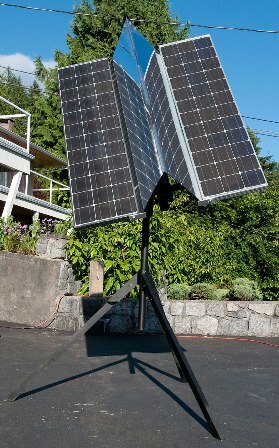 This Solar Tracker is the work of J. Theismann. Note the fine workmanship on the mechanical details of the tracker assembly. 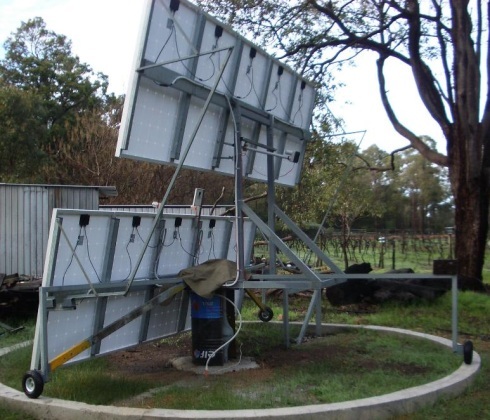 This Solar Tracker is the work of Dave in Australia. Note the use of a satellite dish type linear actuator for the prime mover and the efficient mechanical design. We always enjoy seeing what our customers are building. 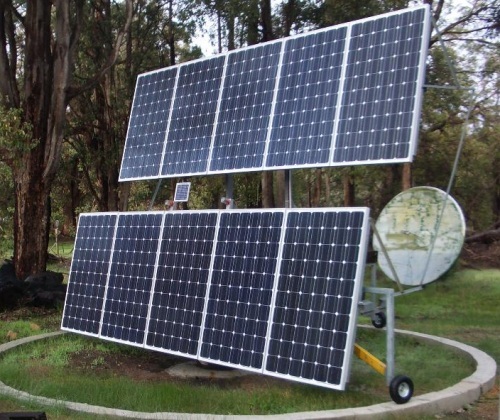 Please send your Solar Tracker project photos to the address below.